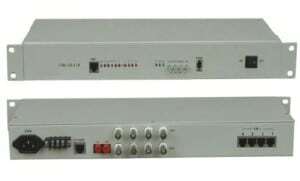 The unit is a device that allows the transmission of real-time monochrome or color video over Unshielded Twisted Pair telephone wire. Enabling reluctance equally to zero, it transforms the video signal into an identical signal but with opposite polarized magnetic fields.With unparalleled common interference. It is ideal for a wide variety of applications such as security, surveillance, video conferencing,elevator surveillance, and P/T/Z control signals. Employs advanced technology, the video transceiver can compensate the attenuation of video signal and different frequecy. Keep up the sharpness and color of original picture.It achieves longer and better signal teansmission . Enable cost-effective, point to point transmission appliance. 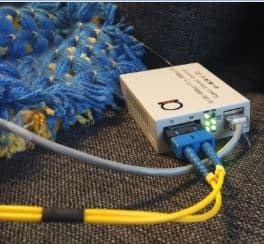 Normally,there are four pairs unshielded twisted pair (UTP) in UTP cable.However, one pair UTP is necessary for 1ch CCTV video signal transmisssion, the others can be used for transmitting Audio signal , Control Signal, Power input or 4 channel cctv video signal. The cost are saved about 20%~50%. Outstanding interference rejection. The Video transceiver is highly immune to common mode interference and Multi channel signals in the same cables transmission . Even in Strong interference environment , The unit can transmit image in high quality .